You may have already whitelisted simulated phishing emails and training notifications from KnowBe4 in your system. 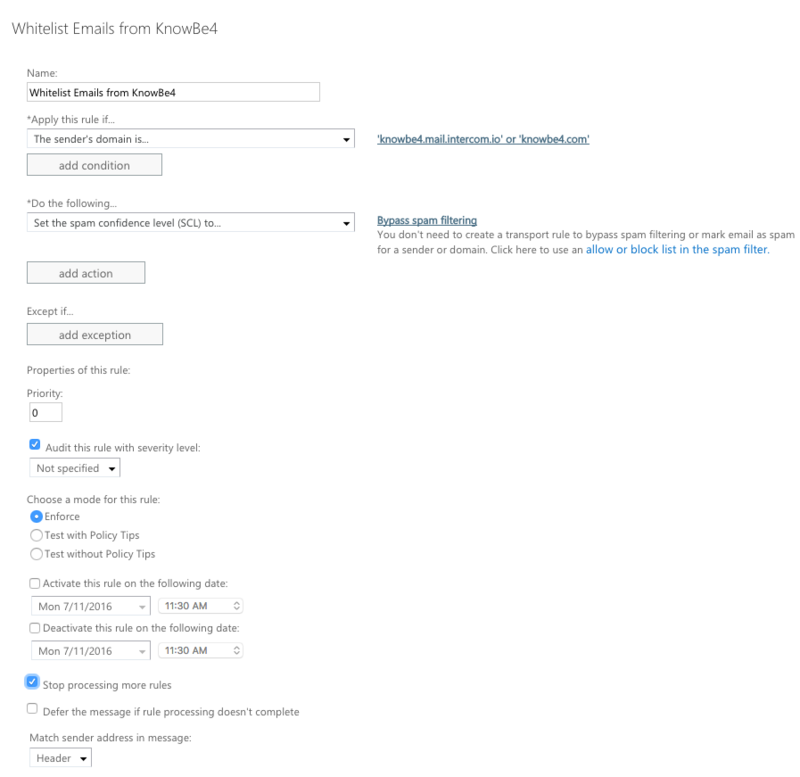 However, if you're having difficulties receiving any other emails from KnowBe4, such as admin or system-related updates, or emails sent by KnowBe4 employees, this document will cover how to whitelist those types of emails in your Office 365 environment. The instructions for setting up this rule is shown below. Log into your Office 365 portal and go into the Admin > Exchange area. Give the rule a name, such as "Whitelist Emails from KnowBe4". Select "Set the spam confidence level (SCL) to...", then select "Bypass spam filtering".